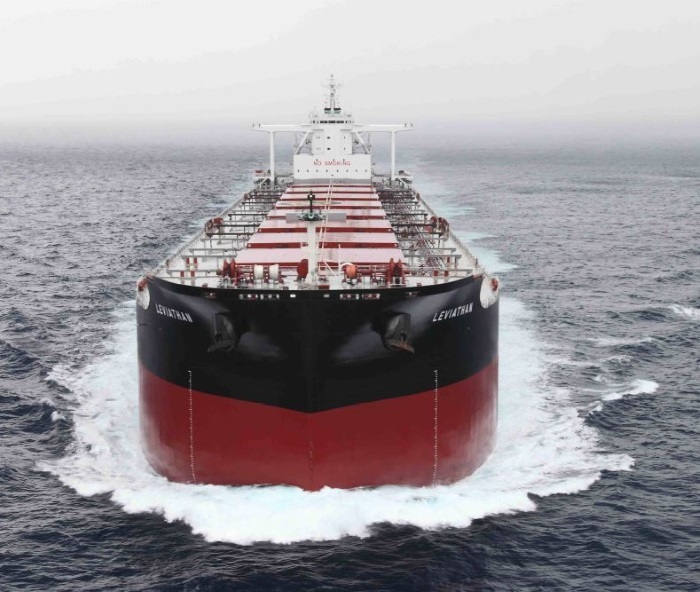 Star Bulk Carriers Corp. a global shipping company focusing on the transportation of dry bulk cargoes, announced its unaudited financial and operating results for the fourth quarter and year ended December 31, 2018. Petros Pappas, Chief Executive Officer of Star Bulk, commented: “This is our fifth consecutive profitable quarter, as we achieved $12.3 million Net Income. This figure also includes a non-cash charge of $17.8 million, related to impairment for realized as well as expected vessel sales in 2019, which if excluded, brings our Adjusted Net Income to $30.3 million. Our voyage revenues for the fourth quarter of 2018 amount to $209.4 million, our average TCE for the quarter is $14,140/day per vessel, while average OPEX per vessel are $3,938/day and average Net Cash G&A expenses per vessel are $969/day, given our continuous focus to keep costs low. On a yearly basis we realized Net Income of $59.0 million and Adjusted Net Income of $86.1 million. Our voyage revenues for the year amount to $651.6 million, our average TCE is $13,768/day per vessel, while average OPEX per vessel (excl. pre-delivery expenses) are $3,994/day and average Net Cash G&A expenses per vessel are $1,004/day. As of today, we have fixed a minimum of 70% of Q1 2019 days at average TCE rates of $12,954 per day. During this quarter, we concluded the refinancing of loans of approximately $248 million with new debt with an average margin of 120 bps lower than the debt that we refinanced. We remain committed to refinancing debt at lower interest costs when such opportunities arise. We have also committed financing for the procurement and installation of scrubbers, of approximately $140 million, to be drawn during the rollout of our program in 2019. Maintaining a large cash balance remains a top priority for us. On December 17, 2018, we entered into a loan agreement with ABN AMRO BANK N.V. and Norddeutsche Landesbank Girozentrale (Nord LB), the “ABN/NordLB $115 million Facility,” for an amount up to $115 million available in four tranches. The first tranche was used to refinance the indebtedness of four of the Augustea Vessels, and the remaining three tranches were used to partially finance the acquisition cost of the three vessels purchased from entities affiliated with E.R. Capital Holding GmbH & Cie KG., as described below. The loan is secured by a first priority mortgage on the seven vessels. All four tranches will mature in December 2023. On January 28 2019, we entered into a loan agreement with Skandinaviska Enskilda Banken AB (SEB), the “SEB Facility,” for the financing of an aggregate amount of $65.7 million, which was used together with cash on hand to pay all the outstanding amount under the lease agreements of M/V Star Laetitia and M/V Star Sienna, two vessels acquired from Augustea. The SEB Facility is secured by a first priority mortgage on the two vessels and will mature in January 2025. On January 31, 2019, we entered into a loan agreement with E. SUN Commercial Bank, Hong Kong branch, the “E.SUN Facility,” for the financing of an amount up to $37.1 million to pay all outstanding amount under the lease agreement of M/V Star Ariadne. The E.SUN Facility is secured by first priority mortgage on the respective vessel and will mature in February 2024. Pursuant to the previously announced transaction with E.R. Capital Holding GmbH & Cie. KG, dated as of August 27, 2018, in which we agreed to acquire three dry bulk vessels and received an option to purchase another four dry bulk vessels, we took delivery of two of the three committed dry bulk vessels, namely the 2010 built Capesize vessels M/V Star Marianne and M/V Star Janni on January 7, 2019 and January 14, 2019, respectively. On January 8, 2019, we sold and delivered the vessel M/V Star Delta, a 2001 built Supramax vessel, to her new buyers. During the fourth quarter of 2018, we repurchased 341,363 of our common shares in open market transactions at an average price of $9.17 for aggregate consideration of $3.1 million, pursuant to the previously announced share repurchase program. All the repurchased shares were canceled and removed from our share capital on January 3, 2019. Following the deliveries of the last two vessels purchased from E.R. Capital Holding GmbH & Cie. KG and the cancelation of the repurchased shares, we have 93,285,322 common shares issued and outstanding as of the date of this release. As of today, we have fixed employment for approximately 70% of the days in Q1 2019 at average TCE rates of $12,954 per day. Capesize / Newcastlemax Vessels: approximately 68% of Q1 2019 days at $16,223 per day. Post Panamax / Kamsarmax / Panamax Vessels: approximately 69% of Q1 2019 days at $11,792 per day. Ultramax / Supramax Vessels: approximately 75% of Q1 2019 days at $11,306 per day. Voyage revenues for the fourth quarter of 2018 increased to $209.4 million from $107.7 million in the fourth quarter of 2017. Adjusted time charter equivalent revenues (“Adjusted TCE Revenues”) (please see the table at the end of this release for the calculation of the Adjusted TCE Revenues) were $136.2 million for the fourth quarter of 2018, compared to $90.0 million for the fourth quarter of 2017. Adjusted TCE Revenues were primarily increased as a result of an increase in the average number of vessels in our fleet to 106.4 in the fourth quarter of 2018, up from 70.6 in the fourth quarter of 2017. The TCE rates for the fourth quarter of 2018 and 2017 were $14,140 and $13,860, respectively. Absent the adoption of the new revenue recognition standard (ASC 606) in January 2018, which has no effect on prior year figures, our TCE rate for the fourth quarter of 2018 would have been $14,018. For the fourth quarter of 2018, operating income was $33.9 million, which includes depreciation of $30.8 million and impairment loss of $17.8 million, as discussed below. Operating income of $37.2 million for the fourth quarter of 2017 included depreciation of $21.1 million. Depreciation increased during the fourth quarter of 2018 due to a higher average number of vessels in our fleet as described above. Net income for the fourth quarter of 2018 was $12.3 million, or $0.13 earnings per share, basic and diluted, based on 92,457,989 weighted average basic shares and 92,515,671 weighted average diluted shares, respectively. Net income for the fourth quarter of 2017 was $23.9 million, or $0.37 income per share, basic and diluted, based on 64,080,657 weighted average basic shares and 64,259,874 weighted average diluted shares, respectively. Amortization of the fair value of below market acquired time charters of $1.1 million, or $0.01 per share, basic and diluted, associated with time charters attached to two vessels acquired during the third quarter of 2018. These below market time charters are amortized over the duration of each respective time charter agreement as an increase to voyage revenues. Unrealized gain on interest rate swaps of $0.5 million or $0.01 per share, basic and diluted. Adjusted net income for the fourth quarter of 2018, was $30.3 million, or $0.33 earnings per share, basic and diluted, compared to adjusted net income of $21.5 million, or $0.34 earnings per share, basic and diluted, for the fourth quarter of 2017. A reconciliation of Net income/(loss) to Adjusted Net income/(loss) and Adjusted earnings/(loss) per share basic and diluted is set forth in the financial tables contained in this release. Adjusted EBITDA for the fourth quarters of 2018 and 2017, was $82.4 million and $55.7 million, respectively. A reconciliation of EBITDA and Adjusted EBITDA to net cash provided by/(used in) operating activities is set forth in the financial tables contained in this release. For the fourth quarters of 2018 and 2017, vessel operating expenses were $38.5 million and $25.4 million, respectively. This increase was primarily due to the increase in the average number of vessels to 106.4 from 70.6. Vessel operating expenses for the fourth quarter of 2017 included pre-delivery and pre-joining expenses of $0.4 million while during the fourth quarter of 2018 no significant pre-delivery and pre-joining expenses were incurred. Excluding these expenses, our average daily operating expenses per vessel for the fourth quarter of 2018 and 2017, were $3,938 and $3,850, respectively. During the fourth quarter of 2018, five of our vessels underwent their periodic dry docking surveys, resulting in $3.1 million of dry docking expense. During the fourth quarter of 2017, none of our vessels underwent their periodic dry docking surveys, but we incurred expenses of $0.4 million in connection with upcoming dry dockings. General and administrative expenses for the fourth quarters of 2018 and 2017 were $7.2 million and $5.9 million, respectively. The formation of our new subsidiary, Star Logistics, and the increase of the number of our employees due to the recent expansion of our fleet that occurred in the third quarter of 2018 compared to the corresponding period in 2017, resulted in higher payroll cost in the fourth quarter of 2018. In addition, general and administrative expenses increased as a result of the listing of our common shares on the Oslo Stock Exchange. Our average daily net cash general and administrative expenses per vessel together with management fees for the fourth quarter of 2018 were reduced to $969 from $1,094 during the fourth quarter of 2017 (please see the table at the end of this release for the calculation of the Average daily Net Cash G&A expenses per vessel). Charter-in hire expense for the fourth quarters of 2018 and 2017 was $25.0 million and $3.1 million, respectively. The increase is due to increased charter in days of 1,493 in the fourth quarter of 2018 compared to 197 in the fourth quarter of 2017. In both quarters, the charter in days are attributable to the activities of our subsidiary Star Logistics, which was formed in the fourth quarter of 2017. Management fees for the fourth quarters of 2018 and 2017 were $4.0 million and $1.9 million, respectively. The increase is attributable to the new management agreements entered into in connection with the acquired fleets during the third quarter of 2018. Interest and finance costs net of interest and other income/ (loss) for the fourth quarters of 2018 and 2017 were $21.2 million and $12.6 million, respectively. The increase is attributable to the increase in (i) LIBOR between the corresponding periods and (ii) the weighted average balance of our outstanding indebtedness of $1,447.6 million during the fourth quarter of 2018 compared to $1,043.2 million for the same period in 2017. Voyage revenues for the year ended December 31, 2018 increased to $651.6 million from $332.0 million for the year ended December 31, 2017. Adjusted TCE Revenues (please see the table at the end of this release for the calculation of the Adjusted TCE Revenues) were $435.2 million, compared to $262.7 million for the year ended December 31, 2017. This increase was primarily attributable to the significant rise in charter hire rates, which led to a TCE rate of $13,768 for the year ended December 31, 2018, compared to a TCE rate of $10,393 for the year ended December 31, 2017, representing a 32% increase. Adjusted TCE Revenues also increased as a result of an increase in the average number of vessels in our fleet to 87.7 in the year ended December 31, 2018, up from 69.6 in the year ended December 31, 2017 following the previously announced fleet acquisitions during the third quarter of 2018. Absent the adoption of the new revenue recognition standard (ASC 606) in January 2018, which has no effect to prior year figures, our TCE rate for the year ended December 31, 2018 would have been $13,772. For the year ended December 31, 2018, operating income was $131.9 million, which includes depreciation of $102.9 million and impairment loss of $17.8 million. Operating income of $38.8 million for the year ended December 31, 2017 included depreciation of $82.6 million. Depreciation increased during the year ended December 31, 2018 due to a higher average number of vessels in our fleet, as described above. Net income for the year ended December 31, 2018 was $59.0 million, or $0.77 earnings per share, basic and $0.76 earnings per share, diluted, based on 77,061,227 weighted average basic shares and 77,326,111 weighted average diluted shares, respectively. Net loss for the year ended December 31, 2017 was $9.8 million, or $0.16 loss per share, basic and diluted, based on 63,034,394 weighted average basic and diluted shares. Amortization of the fair value of below market acquired time charters of $1.8 million, or $0.02 per share, basic and diluted, associated with time charters attached to two acquired vessels. These below market time charters are amortized over the duration of each respective charter as an increase to voyage revenues. Loss on debt extinguishment of $1.3 million or $0.02 per share, basic and diluted, in connection with the cancellation of a previous loan commitment and the refinancing in full of our 2019 Notes (as defined in the 2017 20-F) in December 2017. Adjusted net income for the year ended December 31, 2018 was $86.1 million, or $1.12 earnings per share, basic and $1.11 earnings per share, diluted, compared to adjusted net loss of $4.3 million, or $0.07 loss per share, basic and diluted, for the year ended December 31, 2017. A reconciliation of Net income/(loss) to Adjusted Net income/(loss) and Adjusted earnings/(loss) per share basic and diluted is set forth in the financial tables contained in this release. Adjusted EBITDA for the years ended December 31, 2018 and 2017 was $260.9 million and $128.0 million, respectively. A reconciliation of EBITDA and Adjusted EBITDA to net cash provided by/(used in) operating activities is set forth in the financial tables contained in this release. For the years ended December 31, 2018 and 2017, vessel operating expenses were $128.9 million and $101.4 million, respectively. This increase was primarily due to the increase in the average number of vessels to 87.7 from 69.6. Vessel operating expenses for the years ended December 31, 2018 and 2017 include pre-delivery and pre-joining expenses of $1.1 million and $2.3 million, respectively, incurred in connection with the delivery of the new vessels in our fleet during each period. Excluding these expenses, our average daily operating expenses per vessel for the years ended December 31, 2018 and 2017, were $3,994 and $3,906, respectively. Dry docking expenses for the years ended December 31, 2018 and 2017 were $9.0 million and $4.3 million, respectively. During the year ended December 31, 2018, eight of our vessels underwent and seven of them completed their periodic dry docking surveys during the same period. During the year ended December 31, 2017, four vessels underwent and completed their periodic dry docking surveys. General and administrative expenses for the years ended December 31, 2018 and 2017 were $34.0 million and $31.0 million, respectively. The formation of our new subsidiary, Star Logistics, the increase of the number of our employees due to the recent expansion of our fleet and a higher USD/EUR exchange rate during the year ended December 31, 2018 resulted in higher payroll cost compared to the corresponding period in 2017. In addition, general and administrative expenses increased as a result of the listing of our common shares on the Oslo Stock Exchange. Our average daily net cash general and administrative expenses per vessel together with management fees for the year ended December 31, 2018 were reduced to $1,004 from $1,094, during the corresponding period in 2017 (please see the table at the end of this release for the calculation of the Average daily Net Cash G&A expenses per vessel). Charter-in hire expense for the years ended December 31, 2018 and 2017 was $92.9 million and $5.3 million, respectively. The increase in charter-in hire expense was due to an increase in charter-in days to 5,089 in the year ended December 31, 2018 (attributable to the activities of our new subsidiary Star Logistics, which was created in the fourth quarter of 2017) from 428 in the year ended December 31, 2017 (attributable to the charter-in of the vessel Astakos and Star Logistics). Management fees for the years ended December 31, 2018 and 2017 were $11.3 million and $7.5 million, respectively. The increase is attributable to the new management agreements entered into in connection with the acquired fleets during the third quarter of 2018. Interest and finance costs net of interest and other income/ (loss) for the years ended December 31, 2018 and 2017 were $71.8 million and $47.5 million, respectively. The increase is mainly attributable to the increase in (i) the weighted average balance of our outstanding indebtedness of $1,234.6 million during the year ended December 31, 2018 compared to $1,027.1 million for the same period in 2017 and (ii) LIBOR between the corresponding periods. Source: Star Bulk Carriers Corp.